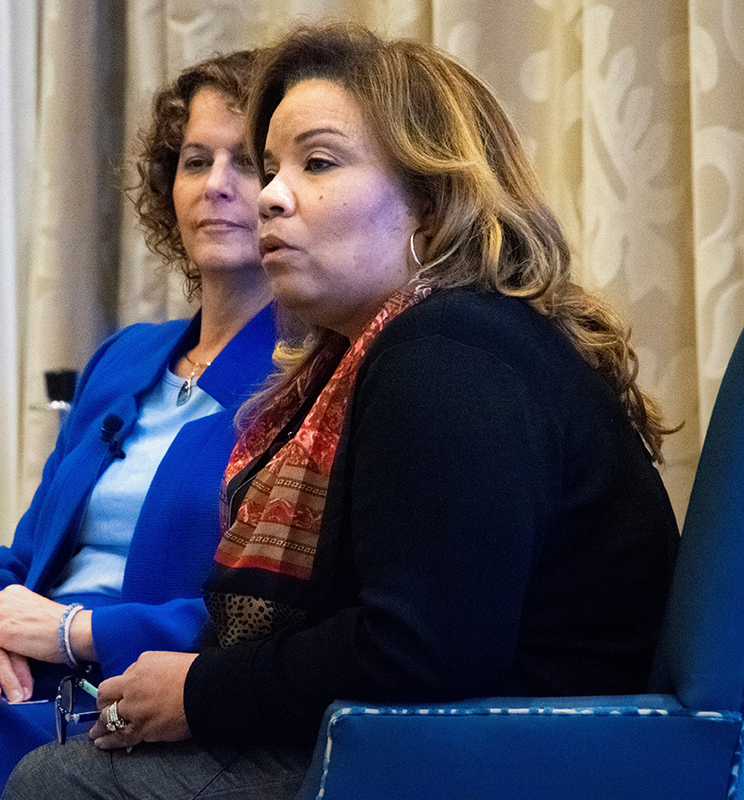 Implicit bias, intentionality in leadership and authenticity in self are among the concepts discussed during the panel discussion at AAPL’s Winter Institute. Although industry leaders are making admirable progress in their efforts to develop and maintain a diverse and inclusive workplace, many barriers remain. Chief among them is the failure of people to recognize their own biases, regardless of their varied backgrounds. To create the needed awareness requires opening a door to uncomfortable conversations, experts say. Pamela Schwartz, DO, an OB-GYN in Lakeland, Florida, provided an overview of her three-decade journey in health care as an African-American woman and the biases she faced. Marissa Levine, MD, joined the University of South Florida in Tampa as a professor of population health in August 2018 after four years as Virginia’s state health commissioner. As a transgender woman who transitioned 13 years ago, she advocates for compassion and support for others in the pursuit of their authenticity. Larry Perkins, PhD, associate vice president for talent and diversity at the University of Texas MD Anderson Cancer Center in Houston, has seen firsthand the importance of creating a structured diversity policy and leadership that took quick, intentional action to implement it. 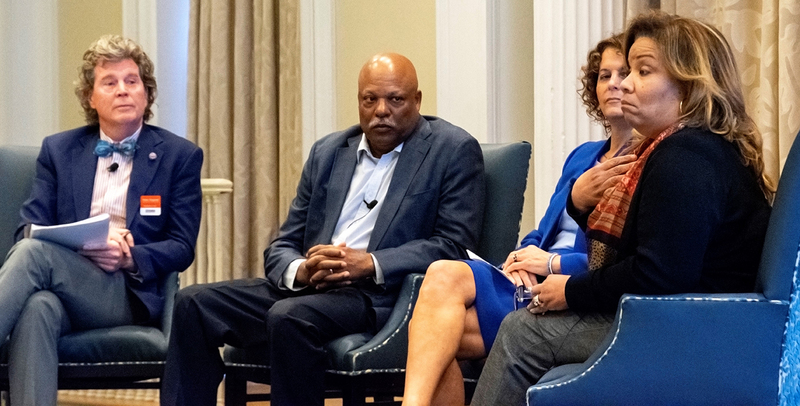 As AAPL CEO and President Peter Angood, MD, FRCS(C), FACS, MCCM, moderated, each panelist frankly described their experiences with bias, and efforts to challenge and overcome them. The goal of the 45-minute discussion? “So we can move beyond the biases to see the value in not just diversity from a racial, religious, cultural, sexual orientation perspective but from the value in diversity of thought,” said Dian Ginsburg, AAPL’s director of career services. Schwartz says she took a nontraditional path to becoming a physician. But she noticed early on that something was lacking in treatment of women and women of color. Interested in addressing implicit bias but limited in resources? Harvard University offers a free, online Implicit Association Test, part of Project Implicit, a nonprofit collaboration created to educate the public about hidden biases and provide a “virtual laboratory” for data collection. Click here to access the IAT website. So after becoming a mother of three, she decided to go to medical school. However, more red flags came early in her career. One interaction while working at a rural Florida clinic affected her career in a profound way. Schwartz had served her residency at Miami’s Jackson Memorial Hospital, where it was routine to test every prenatal patient for chlamydia and gonorrhea. After 15 years, she noticed little changed “in terms of how women of different background [and] socioeconomic status were treated,” so she decided it was time for a career move. Levine will be the first to admit her version of seeking authenticity is on the extreme side. “I really hope many other people don’t have to follow,” she says. She retraced her steps, back to 13 years ago when her spouse nearly died from a “gruesome” fight against an aggressive cancer. “Despite being a physician in a practice for 16 years, [it was] the first time that the reality of the fragility of life … hit me in the face and made me start thinking about living without a spouse and for my children without a parent,” says Levine, who was working for the Virginia health department at the time. “In that process, something awoke in me,” she recalls. “It related to the secret that I had for probably 35 years prior.” After her spouse’s recovery, they explored options related to Levine’s gender identity. What I realized is that this authenticity piece is something critical to the well-being of individuals that perhaps we’re not valuing it as much as we can. Levine says her personal story provided a helpful perspective on health care and diverse populations after then-Virginia Gov. Terry McAuliffe promoted her to lead the department in 2014. For Perkins, inclusion within any organization begins and ends with “the No. 1 leader putting their stamp on it and saying this is important to our organization.” He says that’s the way things went at MD Anderson after Peter W.T. Pisters, MD, MHCM, CPE, was named president in December 2017. And then the new boss listened to a variety of voices before implementing a strong policy that recreated the center’s culture, Perkins says. That included hiring several women and underrepresented physicians into executive positions. “To me, that’s a demonstration of a leader being very intentional,” Perkins says. More than 15 languages are spoken at MD Anderson daily, and physicians “who come from every walk of life, have to deal with that every day,” Perkins says. You haven’t had a perfect day unless you do something for somebody who can never repay you. 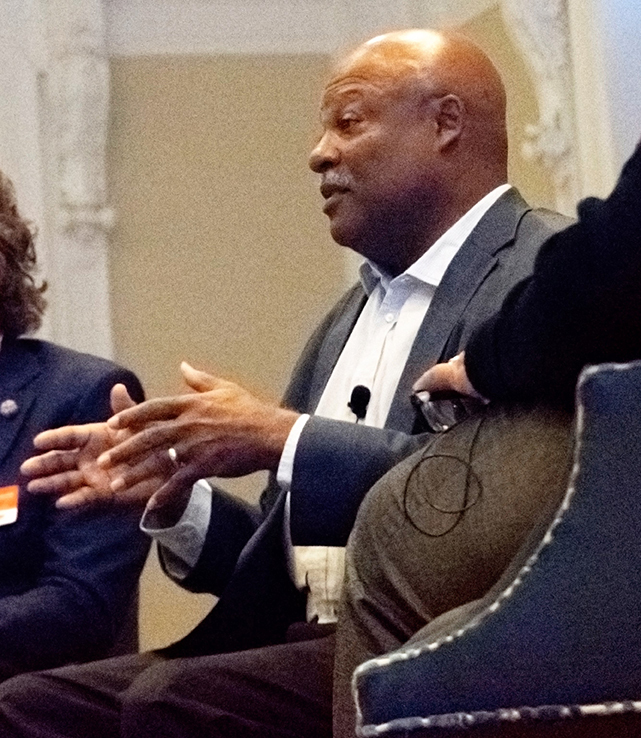 If organizations are going to move the needle on inclusion — where everybody realizes they have a seat at the table — it takes modeling and intentionality by leaders, Perkins says. For example, “in putting my groups together, I thought if I put this woman from Nigeria with this woman from Polk County [Florida], how is that going to work out?” Schwartz says. Levine values such generative relationships, “where both parties are better off” because of their connection or bond. Acknowledging and accepting authenticity applies to the individual as much as the organization. It involves recognizing a person’s differences and related tribulations. 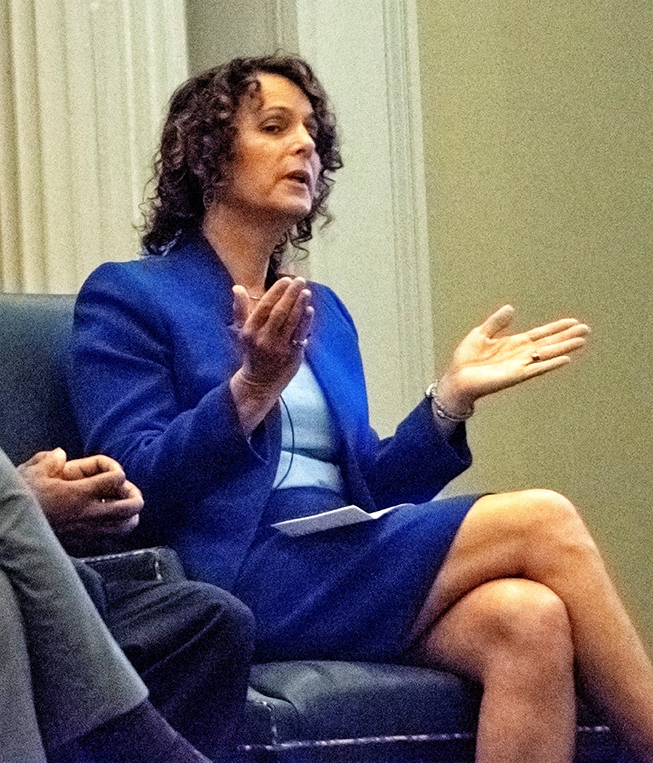 Levine stresses the importance of daily actions in terms of diversity and inclusion. Research has shown that an organization that doesn’t support authenticity creates stress and lacks diversity. From a population perspective, Levine is concerned about implicit bias filtering its way from the individual to institutional level, where it affects policies, cultures and patient outcomes. “At the community level, it results in lack of care, lack of competency in dealing with certain populations,” she says. These gaps in coverage are problematic and avoidable. For starters, she suggests organizations make use of community health assessments to understand what health care issues a population is dealing with and how they can be addressed. “I feel very accomplished, I feel very fortunate, and I’m privileged in many ways, but I have to tell you the gaps that were obvious in the care for people who had issues that I was dealing with were tremendous. I was able to find caring people, but they had no competency. And that’s almost as dangerous, maybe even more dangerous,” Levine says. 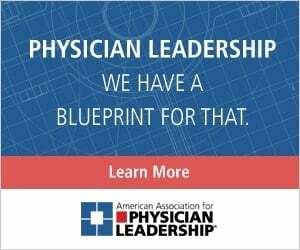 Always remember to use leadership in your daily clinical activity. That patient that you are interacting with, that person would appreciate an understanding of where they’re coming from, at least that you respect and would like to know a little bit more about it, and goes a long way. 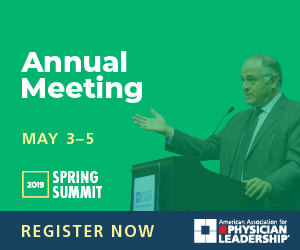 Each panelist says that recognizing and reconciling hidden bias begins with dialogue and learning how to engage with peers and diverse patient populations. “I think that there’s still a lot of work to be done in the basic conversation about race and race relations, how we relate to each other, and as physicians how we can start the conversation that hasn’t been had to better care for our patients,” Schwartz said. Adds Perkins: “I think it’s through these forums of self-exposure that you grow as a leader. [At MD Anderson] we have created forums like this on a regular basis in our organization to have these spoken discussions, and kind of force discussion. As a way of institutionalizing the implicit bias part, we now require implicit bias training in our leadership training. We require that anybody who is on a selection committee to hire another person takes subconscious bias training. Levine says she’s a big believer in physician leadership, and that all physicians have a role in developing and recognizing authenticity. “I’ve got to wonder if you as authentic leaders can value those interactions in the most positive way and appreciate that every day you might be able to positively impact that person in front of you and allow them to continue their journey to authenticity,” she says, “that you might do the public health good and be part of the collective action that I think we need so critically where we’re all aligned, supporting one other, perhaps first realizing our own … authenticity and supporting others.